Albemarle Corp has agreed to pay US$1.15 billion to form a lithium joint venture with Australia’s Mineral Resources, after the world’s top lithium producer had expansion plans for its operations in Chile rejected last week. The US-based company will take a 50% stake in the JV that will own and operate the Wodgina hard rock lithium mine in Western Australia. The JV partners will also develop a plant to process spodumene concentrate into lithium hydroxide. Albemarle’s primary operations are at the lithium brine producing Salar de Atacama salt flat in Chile, however expansion plans have been slowed by red tape after regulators ruled that an environmental impact statement lacked key information. Broker Canaccord also pointed towards taxation changes in Chile, which serve to reduce investment appeal in the South American nation. “A pivot out of Chile is, therefore, not surprising,” it said in a note. The deal comes amidst growing global demand for lithium chemicals such as hydroxide to feed the lithium-ion battery market, which includes the burgeoning electric vehicle (EV) industry. Albemarle’s move into the Australian market reflects a shift towards hydroxide production by major lithium producers, as Australia’s hard rock ore can be used to produce hydroxide directly, while production of hydroxide from Chile’s brines is a more expensive, two-stage process. 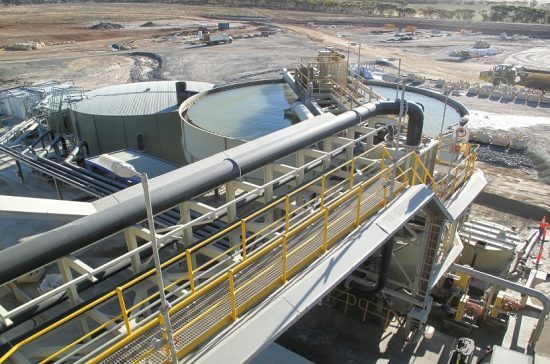 The Wodgina mine currently exports unrefined hard rock ore, although the JV plans to build a 750,000 tonnes a year spodumene concentrate plant and a 50,000 tonnes a year lithium hydroxide plant.